The digital future. Made actionable across 90+ markets in over 150 regions. One of the key advantages in using the Statista platform is to find the reference of the data origin to check the reliability of the source and get further context information. Most of the data about the global digital economy comes from financial company reports, consumer surveys or analyst estimates. The biggest problem in this context is availability of consistent, comparable and recent data points. Therefore Statista has stepped into Market Analytics to build bridges between different sources, methodologies and survey periods and delivers consistent data points to the most relevant topics. This allows us to publish not only market sizes and forecasts for digital topics, but also consumer and company related insights of the digital economy. Our team of experienced analysts and market researchers derives key metrics out of various country-specific and international studies and uses mathematical models to transform and standardize information and enrich the data with additional insights. In addition to that we conduct our own surveys to show latest trends and consumer behavior regarding a specific topic, always focusing on reliable, representative and continuable results that follow our ambition of giving you immediate access to only the most reliable and trusted statistics available in the market. We combine the benefits of recent market research and trend scouting. We provide independent, realistic and consistent market sizes and forecasts based on data-focused analysis and multi-causal models based on the latest findings from economic and innovation research. Our forecasts are based on four types of relevant industry data. Our market sizing is based on individual bottom-up approaches and relying on deep-dive analysis of customer behavior, pricing models and company information. Contextualized information is the key to get a deep understanding of digital market structure. Continuous market monitoring allows us to detect and consider relevant changes along the value chain of digital markets. Who can access the Digital Market Outlook? All data from the Digital Market Outlook is included in all Statista Corporate & Enterprise accounts with ongoing contracts. Get more information. What kind of data does the Digital Market Outlook contain? How many markets are available in the Digital Market Outlook? 82 sub-segments: (e.g. e-Commerce -> Clothes & shoes -> Shoes & leather goods). A complete market overview can be found in our methodology or at the market directory. Yes. You can download the data as an Excel- or PNG-file. Download buttons can be found in the different box diagrams in the lower left corner. An extension of the export functionality including more download formats and the possibility of downloading all data for a selected market segment at once is planned and will soon be available. When is the data being updated? Updates for each market come regularly once a year. In some cases, the data for individual markets is updated on an ad hoc basis (e.g. when new, relevant data has been released or significant changes within the market have impact on the projected development). A time stamp at the bottom of each diagram shows the latest available update. Update cycles vary from market to market in terms of data availability. Will there be more markets in the future? New market segments or completely new markets are likely to be added in the future. A release schedule with concrete topics does not exist yet. Please feel free to contact us for further information. How are the markets defined? All markets are defined at the beginning of each content page. You can read a short introduction about what products, services or categories are included in our market scope and what is out-of-scope. Furthermore, we provide a brief explanation and market definition that is accessed by clicking on the download button on top of each content page. If a question is still unanswered please get in touch with us. We are always happy to help you out and to improve our product. Which data sources are the bases for the market data? 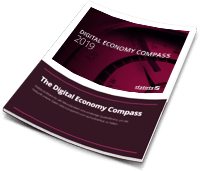 The Digital Market Outlook uses a large number of different, market specific sources and the results from surveys for the analytical modelling of each market. An overview of the sources for each market can be found in the methodology. In addition to sources that are only used for single markets, there are some sources with general data. These include among many others, the World Bank, the European Commission’s central database and OECD. How are the market values calculated? Our market data is based on comprehensive mathematical modeling, focusing on a bottom-up approach to derive market sizes and trends by having a deep understanding of the underlying processes and influencing factors. Analyzing the market structure and how monetary value is generated is the key to anticipate new trends and derive realistic estimates. It also allows us to combine very different types of datasets in order to get a holistic view from different perspectives on the market in terms of infrastructure and preconditions, consumer behavior and social trends or economic development. These data points include statistical macro-data on a country-level, survey-based insights from market research, ongoing screening of the competitor landscape as well as third-party studies and analyses. A brief description of the methodology can be downloaded here. Why isn’t the demographic split available for every market? It is not possible to calculate the demographic characteristics for all the markets. For example, a household with Smart Home hardware can be occupied by different people. In B2B-markets e.g. FinTech, digital Advertising, demographic information does not relate to a single person. How many people per country have been surveyed? The number of people depends on the country and the survey. In the Consumer Barometer online survey (Google/TNS) the sample size per country was 3,000 per country and the respondents were at least 16 years old. In the Connected Consumer survey (Google/TNS) the sample size per country was 1,000 and the respondents were at least 16 years old. In addition to that, Statista conducts own surveys for specific deep-dive analysis, which cover only selected or single country insights that serve as a proxy and allow detailed trend analysis for lead markets. Which currency rates are used for the forecasts? All monetary data is standardized to USD values to allow further calculation. For the USD to EUR conversion the average exchange rate of the last available full year is used and projected assuming fixed rates for the forecast period to avoid the influence of exchange rate deviations on the general market dynamic. The source for the historical data is oanda.com. Currently, there isn’t the option to directly switch between currencies. Please visit de.statista.com/outlook for EUR figures and statista.com/outlook for USD figures. A function to easily change between currencies is planned. Can you directly compare the market data from different countries? A country comparison is given in the „Global Comparison Box“, which is not yet editable , but shows the top five countries (by revenue) plus the current selected country. In order to intensively compare and calculate with different country values, we will deliver enhanced download functionalities to improve data accessibility in standard formats such as XLS-files in the near future. Who do I contact in case of feedback or questions regarding the content of the Digital Market Outlook? With all support requests regarding our content please get in touch with our customer support. The request will be forwarded immediately to the responsible market analyst in order who can give you relevant feedback. Who do I notify about technical errors? Please make sure, that you are logged-in with a Statista Corporate or Enterprise Account to have full access to our exclusive Digital Market Outlook features. With all technical support requests please get in touch with our customer support. The request will be forwarded immediately to our IT department who will fix the errors as soon as possible.